Published: Oct. 16, 2016 at 03:31 p.m. The Chicago Bears force a turnover against the Jacksonville Jaguars. 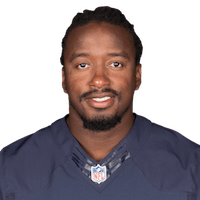 Willie Young ran down Blake Bortles to force a sack-fumble, which was recovered by Akiem Hicks. Published: Oct. 5, 2014 at 01:51 p.m.
Carolina Panthers quarterback Cam Newton is stripped of the ball by Chicago Bears defensive end Willie Young, who also recovers the fumble. Published: Aug. 8, 2014 at 11:43 p.m.
Philadelphia Eagles quarterback Nick Foles throws under pressure allowing Chicago Bears safety Ryan Mundy to intercept the pass.